Wait until you see the grungy, scratchy, goodness I have for you in these collections. A few of my favourite sets are brought to you in this collection. These are perfect for adding some heavy grunge or some light scratches. 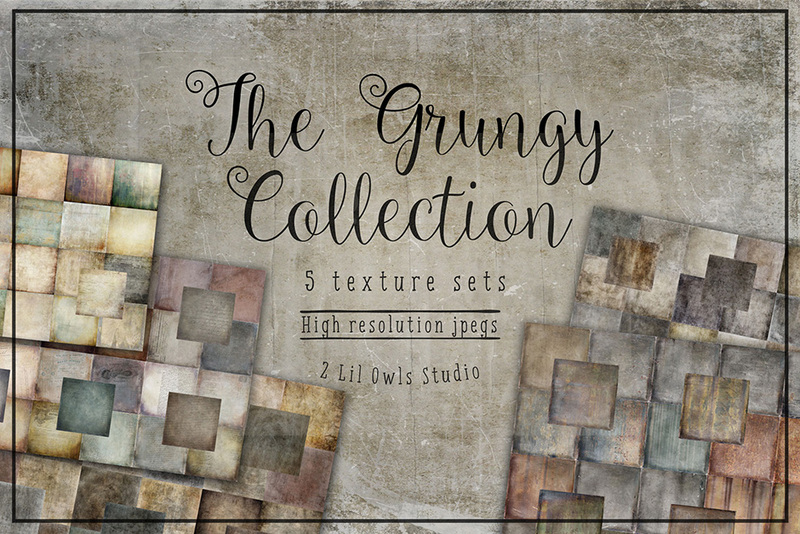 Mix and match these textures to give you a variety of beautiful looks in your photos. All textures are either 15×15 or 12×12 high-res .JPG files, 300 PPI. All textures are either 15x15 or 12x12 high-res JPG files, 300 PPI. File size is approx 742.4MB (789.4 unzipped), offered as a single download.